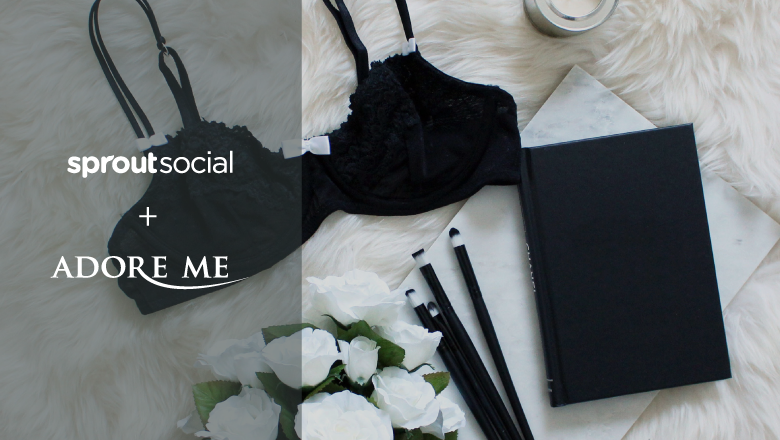 As a brand that offers beautifully designed lingerie, bras, and sleepwear, New York-based e-commerce company Adore Me should have no problem with intimacy. But as business skyrocketed and its social channels grew accordingly, Adore Me’s social team struggled to manage its online community and maintain meaningful connections with the brand’s fans in the digital space. This was a matter of great concern for a company that has been dedicated to better serving the needs of the intimates consumer since its inception in 2011. AdoreMe was built on the concept of inclusivity and the objective of making beautiful, quality lingerie accessible to everyone. As a direct-to-consumer brand, it’s important that the brand’s customers feel the same sense of inclusivity on their social channels as they do from the products. According to a Nielsen report, more than one-third of customers prefer to contact businesses for customer support through social media. Which is why, like many brands, Adore Me had already begun to offer customer service on its social channels. But to achieve a higher level of customer care, a company must move beyond simply addressing complaints and concerns and begin anticipating the needs of its customers. With the help of Sprout’s advanced engagement and reporting tools, Adore Me was better able to manage its reactive customer care to allow for more time and effort on proactive efforts. The platform has given the brand greater insight into the types of content its fans want in order to begin connecting with them on a deeper level. The first step in developing a robust customer care strategy brings us back to Marketing 101: Know your audience. 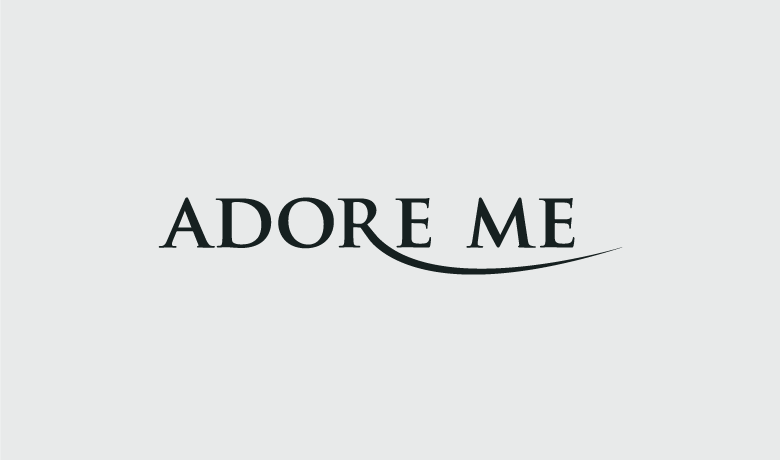 Adore Me maintains an active presence on Facebook, Twitter, and Instagram, with each platform serving a slightly different purpose and demographic. It was important that the brand identify how its consumers were interacting with each of the social channels so the team could adjust its customer care strategy accordingly. Aligned with the findings of the Q1 Sprout Social Index, Instagram attracts a younger user base for Adore Me. The brand also sees higher levels of engagement on its Instagram page, specifically more comments. Twitter is primarily used as a customer care channel, while Facebook is in the middle, with users both making customer service inquiries and engaging with Adore Me’s robust FB video content. In order to manage the high volume of service inquiries coming in through Twitter and Facebook, Adore Me needed a faster, more efficient way to scale social customer care. The brand first assigned a dedicated team – separate from its social media manager – to handle those requests. While the addition of this team certainly helped, it wasn’t until the team started using Sprout’s advanced collaboration tools that it began seeing its efforts pay off. 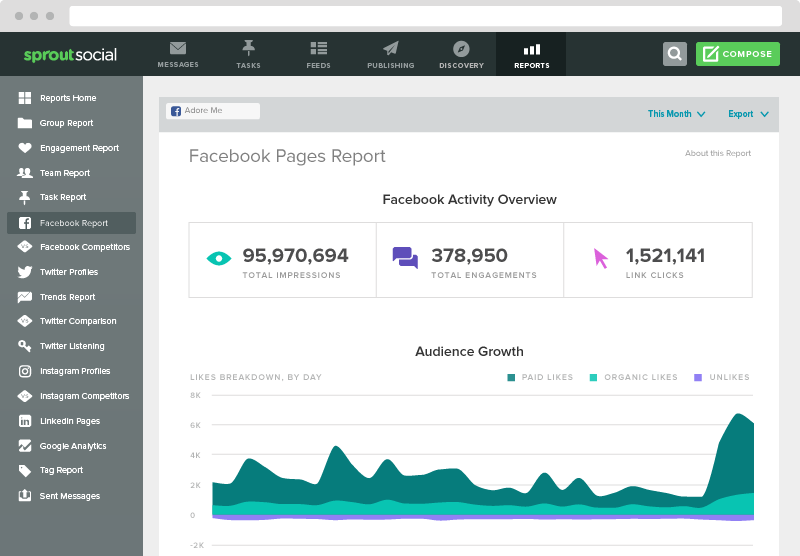 Sprout’s Smart Inbox allows Adore Me to manage all social messages, across every platform, in one single stream. This organization helps speed up response times and decrease reply thread size, freeing up more time to focus on proactive customer care efforts. Adore Me finds that one of the most helpful features of the Smart Inbox is the tasking option on inbound messages. Every morning, Adore Me’s social marketing manager goes into the platform and tasks customer service-related items to the customer service team. And if the customer service team sees a message that is relevant to marketing or engagement, it’ll task it to the marketing manager. “We communicate a lot through tasking items to one another and writing comments so we can communicate and solve problems as quickly and as easily as possible,” Sabak said. It’s a foolproof way to not only ensure all messages are receiving a quick response, but also from the right people. This helps minimize response overlap and tailor customer service to each individual message. Another Sprout feature that Adore Me has found incredibly helpful, particularly in managing customer service inquiries, is Message Tagging. The team uses tagging to group messages according to the specific issues customers are inquiring about, whether it be membership service, sizing, product issues, etc. This allows the team to quickly identify and address growing trends and common customer issues, thus providing insight into what content might resonate with, or be most helpful to, the brand’s fans in the future. But Adore Me knows that customers don’t always reach out to the company directly, so the team also uses the Twitter Keyword Report to identify issues and glean insights. Listening targets include mentions of the brand’s name as well as any mention of the brand’s name plus potentially negative keywords like #adoremeissues or #adoremeproblems. The team also monitors discussion around lingerie in general to find and engage new customers and potential brand influencers. The Smart Inbox has been an instrumental tool in discovering social power users who may have an affinity for the brand. Whenever a fan or customer engages with Adore Me on Twitter, a colorful bar appears below the profile picture of those with sizeable social followings. A blue bar indicates that customer has 2-10K followers, green – over 10K followers, and orange – over 100K followers. These “Influencer Indicators” let Adore Me know that this particular customer has a significant social reach. They may go one step further in engaging with them, or even ask them to become an ambassador for the brand. All of these tools have given Adore Me access to the valuable information and insights the team needs to customize its social strategy. As the company and its social channels grow, these insights keep the brand connected to the wants and needs of its consumers, and allow the social squad to continue engaging with them on a more personal level. Perhaps the most successful example of this strategy has been the identification of a particular trend on Adore Me’s social channels that led to its Valentine’s Day promotional contest: #SelfLoveNote. The theme of the contest was body positivity and self-love. To enter, all fans had to do was post a video to Instagram lip syncing a love song, tag @adoreme and the contest partner, @galore, and use #SelfLoveNote. The winner was chosen by Adore Me’s girl squad design team and won a modeling contract with Kitten, a photo shoot with Adore Me and Galore Magazine, an all expenses paid trip to NYC and $1,500 to shop Adore Me products. The contest was a huge success, receiving more than 500 submissions. Not only was it a chance to directly answer a popular request among the brand’s fan base, but it was also an opportunity for Adore Me to showcase its brand values and connect with fans on a more personal level. A thriving business also comes with certain challenges. While growing social channels is a good problem to have, it can lead to unhappy or apathetic customers if customer service needs are not addressed in a timely manner. Not only was Sprout able to help Adore Me better manage its social platforms, we also helped elevate the brand’s social customer care strategy to include more proactive efforts. Now Adore Me is able to take cues from the industry and its audience to better serve and connect with customers—the mark of a truly intimate brand. Want to learn more about Adore Me? Get social and follow them on Pinterest and YouTube, and get the app on iTunes and Google Play.